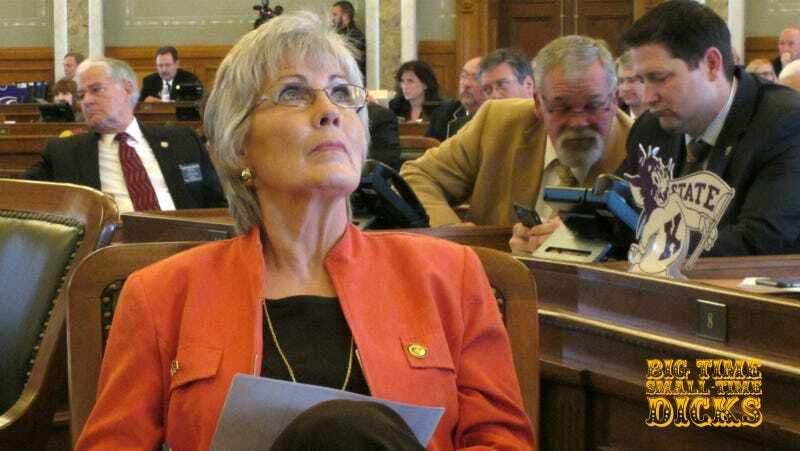 A Kansas Republican lawmaker is apologizing for inadvertently appearing to praise Hitler when she was just trying to trash Planned Parenthood. That’ll happen! During her testimony, Jessen quoted Hitler on propaganda, contending that Planned Parenthood used techniques similar to those of the Nazis. “The receptivity of the masses is very limited, their intelligence is small, but their power of forgetting is enormous. In consequence of these facts, all effective propaganda must be limited to a very few points and must harp on these in slogans until the last member of the public understands what you want him to understand by your slogan,” Hitler said in the quotation. Hard to believe the words “Great quote from Hitler” could lead to any negative backlash.